This intricate hand decorated Valentine's Day card for someone special is loaded with embellishments that make it truly unique. 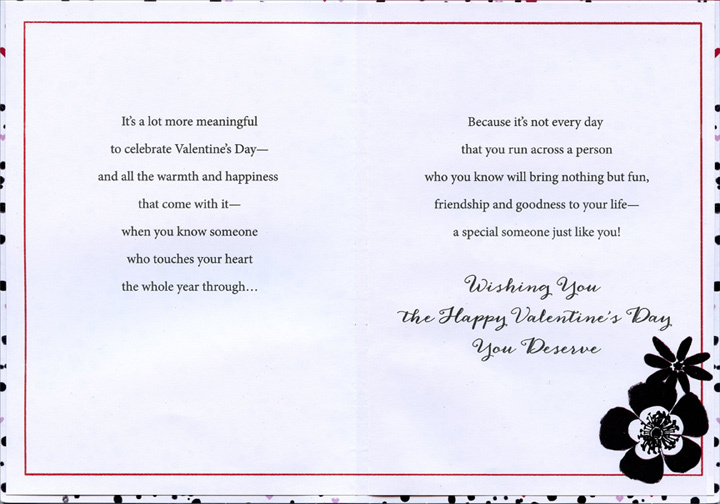 The white background is covered with small glitter adorned hearts and circles, red sequins and black flowers with silver foil accents while a die cut red tip-on banner is affixed to the front of the card creating a 3D look and feel. A hand fastened sparkling red ribbon runs down the left side of the card and spot UV treatment on the front verse and the black lines of the flowers brings a shiny raised look to those elements of the card. Coordinating artwork and spot UV treatment is also found on the interior of the card. 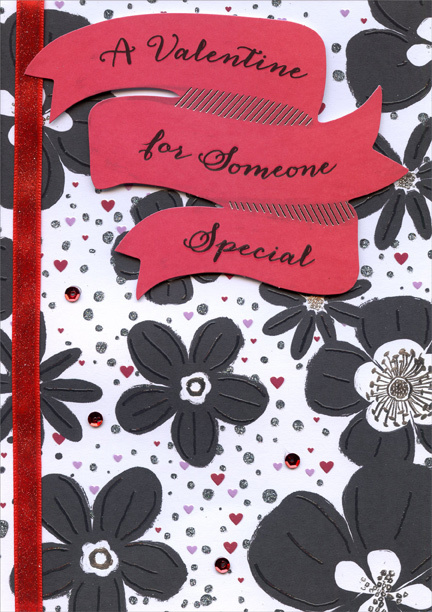 This memorable card is from the Premier Collection by Designer Greetings and makes a wonderful keepsake. Extra postage required.